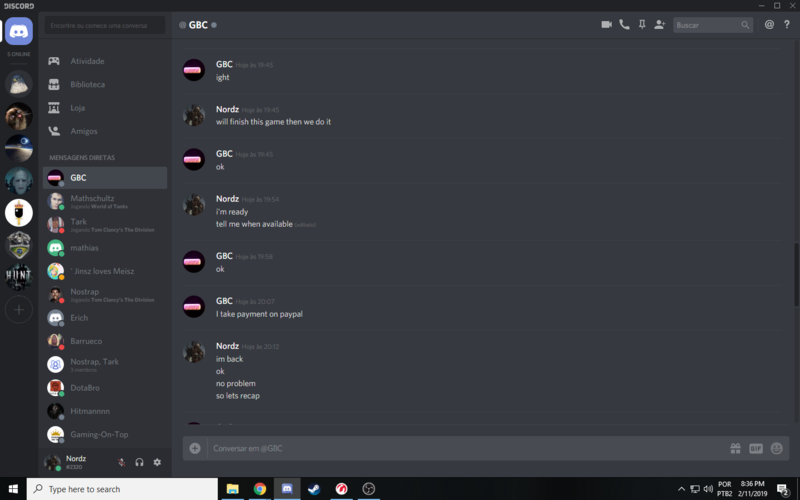 Other information: User took the money and deleted some messages, hopefully i recorded it. If yes, what is the Trade Guardian ID? Not used. World of tanks acc not delivered. Site doesnt support video but i can share it with some epicNpc staff. He sent the money as a service or good and it asked for shipping info he made a paypal case and will get his money back. Not wasting my time talking to a scammer. He was going to chargeback and made a paypal claim. Have rep on this site, you can check it, if you want to we can conclude the transaction and never did chargebacks. Edit: Ps i wasnt the one who deleted messages too. Could you please accept the chargeback on paypal then? You can access the paypal case and refund it, or provide me the account and all info so i can mark the case as solved and you keep the money. Made chargeback cause you deleted messages and me from discord, of course i wouldnt charge back if you had provided me the product lol. But ok, i can wait, you are just showing that your scam attempt failed, and now wont be cooperative holding my money. Could remove my negative feedback please?